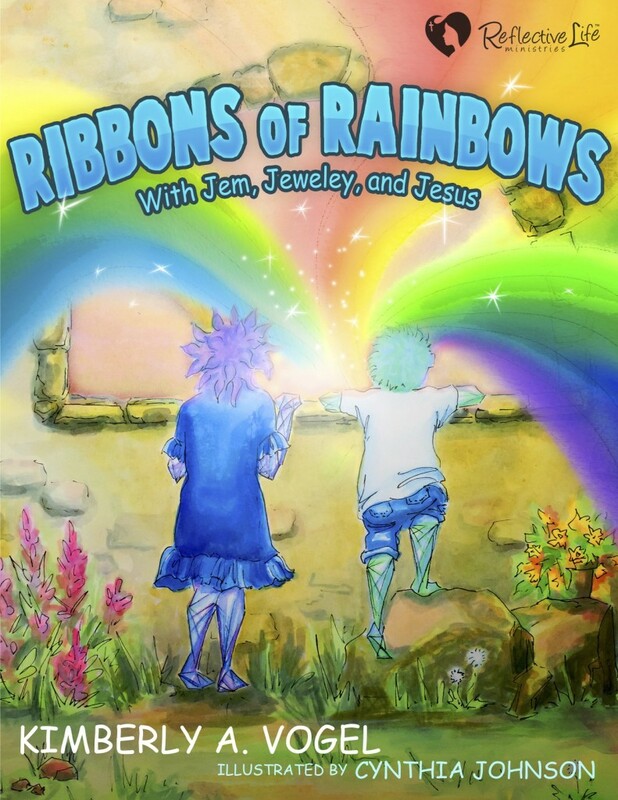 Ribbons of Rainbows tells the story of two young Stones in search of God’s glory. Peeking through the window, Jem and Jeweley notice Mama Stone reading her Bible. Ribbons of rainbows flow from her. The little gems want to shine like Mama, but don’t know how. Jeweley hears Mama say something about a veil and reflecting Jesus, so she runs to her room, finds a veil, and covers her face. To her surprise she likes it! She’s able to hide her feelings and her freckles too. But, when she looks into the mirror, she isn’t shining like Mama. Her disappointment leads her to a selfish attitude. A picnic in the garden provides the perfect opportunity for Grandma to talk to Jem and Jeweley about Jesus. Jem’s search for Jesus leads him to his closet where he realizes he wants to live for Him. Jeweley also wants to shine and connect with Jesus. But something is wrong – her veil is stuck! Will it ever come off? Will she shine with ribbons of rainbows too? I met so many wonderful people during the creation process of this book. Special – from the bottommost corner of my heart- thanks go to Carla, Kitty, Jake, and Cindy. Kitty and Jake are key team members of Reflective Life Ministries, which is founded by Carla. Ribbons of Rainbows is the children’s book that compliments Reflecting Him, a Bible Study for women, written by Carla McDougal. Cindy Johnson brought the words of the story to life with her beautiful illustrations. You can find Cindy on her blog, ColorCat Studios. Books are for sale from me personally through speaking engagements or book signings (or if you flag me down while driving around town), through my store, or through Reflective Life Ministries.